Hemp is different variety of the Cannabis sativa plant than marijuana and can be used for a range of commercial purposes. The Pennsylvania Department of Agriculture has submitted a plan to the USDA that would open the door to commercial applications for the industrial cultivation of hemp, officials said Tuesday. For the past two years, the state has administered a research pilot program for industrial hemp in collaboration with universities and private growers. Despite possessing levels of THC too low to provide any psychoactive effect, industrial hemp has been federally hindered in the United States since the passage of the Marijuana Tax Act in 1937. After experiencing a brief resurgence during World War II, rigid restrictions in the Controlled Substances Act brought the industry to a halt in the 1970's, turning the United States into one of the world's largest importers of hemp. The 2014 federal farm bill finally distinguished the cannabis crop from marijuana, paving the way for domestic uses in products ranging from textiles and clothing to food and biofuels. 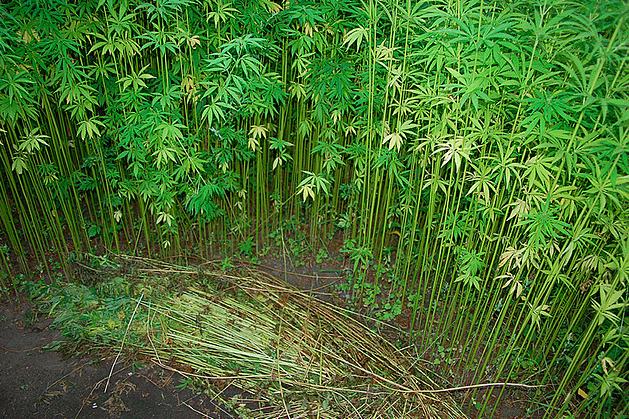 Last year's federal farm bill further eased restrictions on industrial hemp cultivation. Pennsylvania now joins Kentucky as just the second state to submit its industrial hemp plan to the USDA. The Department of Agriculture approved 84 applications on Tuesday that will lift acreage restrictions for hemp cultivation and enable future permit applications for commercial purposes on a rolling basis. Growers will be subject to the state's Controlled Plant and Noxious Weed Committee, which will handle enforcement for any violations of permit conditions.